A leadership spill in the Australian Labor Party, the party of opposition in the Parliament of Australia, was held on 27 January 1976, the date of the first Caucus meeting following the 1975 election. Dismissed Prime Minister Gough Whitlam was comfortably re-elected leader of the ALP ahead of senior MPs Lionel Bowen and Frank Crean on the first ballot. A much more extensive series of ballots was required to fill the deputy leadership with eight contenders narrowed down to a final ballot seeing Tom Uren narrowly defeat Paul Keating 33 votes to 30.To date, this is the last Australian Labor Party leadership spill at the federal level to be contested by more than two candidates. The following lists events that happened during 1991 in Australia. The following lists events that happened during 1992 in Australia. The following lists events that happened during 1993 in Australia. The Australian Labor Party held a leadership election on 19 March 1996, following the resignation of Paul Keating after the party's defeat at the 1996 federal election. Kim Beazley was elected unopposed as Keating's replacement, thus becoming Leader of the Opposition. Speculation about Keating's successor began midway through his second term in office, as a result of consistently poor polling. Finance Minister Kim Beazley, Health Minister Carmen Lawrence, Foreign Minister Gareth Evans, and Employment Minister Simon Crean were all reported as possible contenders at various stages. In June 1995, deputy leader Brian Howe announced his resignation. Beazley was elected unopposed as his replacement, thus becoming Deputy Prime Minister of Australia. 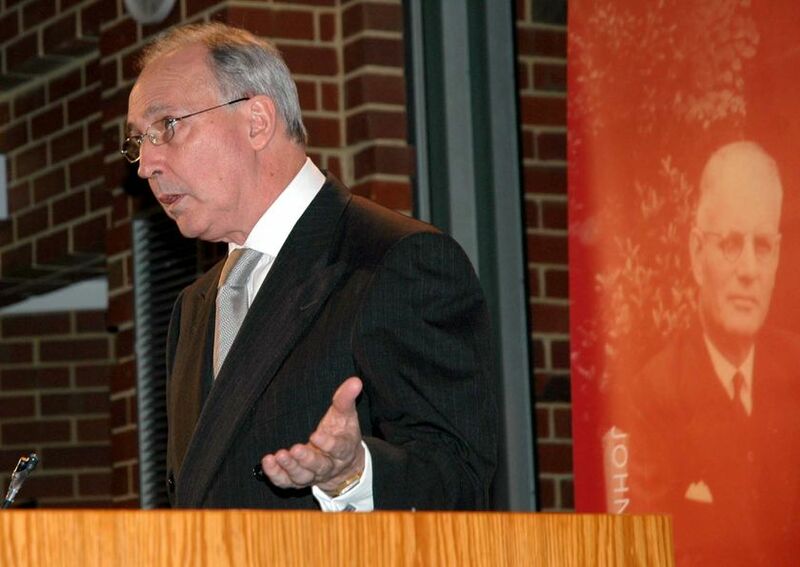 Keating then endorsed Beazley as his own eventual successor, stating that he was "the obvious person in the long run". It was reported that Carmen Lawrence was the preferred candidate of Howe's Labor Left faction for the deputy leadership, but that she chose not to stand because she did not have the numbers in the caucus as a whole. Her position was thought to have been damaged by an ongoing Western Australian royal commission into her role in the Easton affair.In April 1995, opinion polling by AGB McNair on behalf of The Sydney Morning Herald had Gareth Evans (20 percent), Carmen Lawrence (18 percent), Kim Beazley (13 percent), and Simon Crean (8 percent) as the favourites to succeed Paul Keating as Labor leader, although 31 percent of respondents were unsure. By July 1995, the same polling firm had Beazley on 27 percent, followed by Lawrence (19 percent), Evans (10 percent), and Crean (9 percent).Keating announced he would resign as Labor leader on the night of 2 March 1996, when it became clear that Labor had lost the federal election to John Howard's Coalition. By the following week, it was correctly being reported that Beazley would be elected unopposed as his successor when the Labor caucus met on 19 March. However, there was initially some concern that he would not win his seat, the Division of Brand in Western Australia – his final margin of victory was only 387 votes. In the lead-up to the caucus meeting, most media attention was given to who would be the party's new deputy leader. Gareth Evans eventually defeated Simon Crean by 42 votes to 37. Brian Leslie Howe AO (born 23 January 1936) is a retired Australian politician and Uniting Church minister. He served as Deputy Prime Minister of Australia and deputy leader of the Labor Party from 1991 to 1995, under Bob Hawke and Paul Keating. He was a government minister continuously from 1983 to 1996, and a member of the House of Representatives from 1977 to 1996, representing the Division of Batman in Victoria. A leadership spill of the Australian Labor Party (ALP), the party of government in the Parliament of Australia, was held on 19 December 1991, the second spill in a year. Backbencher and former Treasurer Paul Keating defeated Prime Minister Bob Hawke, who had led Labor for eight and a half years. This is a list of electoral results for the Division of Blaxland in Australian federal elections since the electorate's creation in 1949 until the present. 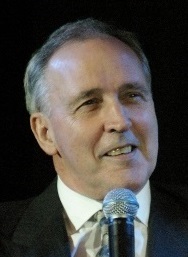 The First Keating Ministry (Labor) was the 59th ministry of the Government of Australia, and was led by Prime Minister Paul Keating. It succeeded the Fourth Hawke Ministry upon its swearing in by Governor-General Bill Hayden on 20 December 1991. It was replaced by the Second Keating Ministry on 24 March 1993 after the 1993 election. John Charles Kerin (born 21 November 1937) is an Australian economist and former Australian Labor Party (ALP) politician. A leadership spill in the Australian Labor Party, the party of government in the Parliament of Australia, was held on 3 June 1991. It was the first of two ballots that year with Prime Minister Bob Hawke surviving the ballot against Treasurer Paul Keating, who then went to the backbench. The Keating Government was the federal executive government of Australia led by Prime Minister Paul Keating of the Australian Labor Party from 1991 to 1996. The Government followed on from the Hawke Government after Paul Keating replaced Bob Hawke as Labor leader in an internal party leadership challenge in 1991. Together, these two governments are often collectively described as the Hawke-Keating Government. The Keating Government was defeated in the 1996 federal election and was succeeded by the Howard Coalition government. Kim Christian Beazley, AC (born 14 December 1948), is an Australian politician who is currently serving as the Governor of Western Australia. A former Deputy Prime Minister of Australia and Leader of the Opposition, Beazley has also held various ministerial portfolios in the Hawke and Keating Governments before later serving as Ambassador to the United States. Beazley was born in Perth, the son of politician Kim Beazley senior. He studied at the University of Western Australia and Balliol College, Oxford, attending the latter as a Rhodes Scholar. After a period as a lecturer at Murdoch University, Beazley was elected to parliament at the 1980 federal election, winning the Division of Swan for the Labor Party. He was added to the ministry when the party won the 1983 election, and served continuously through to the party's defeat in 1996. His longest-held portfolio during that time was Minister for Defence (1984–1990). In 1995, Beazley was elected deputy leader of the Labor Party in place of Brian Howe, thus becoming deputy prime minister. After Labor lost power in 1996, Beazley was elected unopposed as party leader in place of Paul Keating. He led Labor to the 1998 election, recording a positive swing but falling well short of victory. After a second defeat in 2001, he resigned the leadership in favour of his deputy Simon Crean. However, in 2003 Beazley made two attempts to regain his old position. He lost an initial challenge to Crean in June, and then after Crean's resignation in December lost a ballot to Mark Latham by two votes. Beazley was eventually elected to a second term as leader in January 2005 when Latham resigned in the wake of the 2004 election. Beazley was replaced by Kevin Rudd in December 2006, following a spate of poor opinion polling. He retired from politics at the 2007 election. From 2010 to 2016, Beazley served as Ambassador of Australia to the United States. In April 2018, it was announced by Premier Mark McGowan that Beazley would succeed Kerry Sanderson as Governor of Western Australia on 1 May, for a term of four years. denotes the first female minister of that particular department. Paul Keating (born in 1976) is an English actor. He has been nominated twice for an Olivier Award for his performances on the West End stage. He began acting at the age of 12, appearing as Gavroche in Les Misérables at The Palace Theatre for 10 months. Roslyn Joan Kelly AO (née Raw; born 25 January 1948) was a member of the Australian House of Representatives for the Division of Canberra from 18 October 1980 to 30 January 1995. She was a minister in the governments of Bob Hawke and Paul Keating. 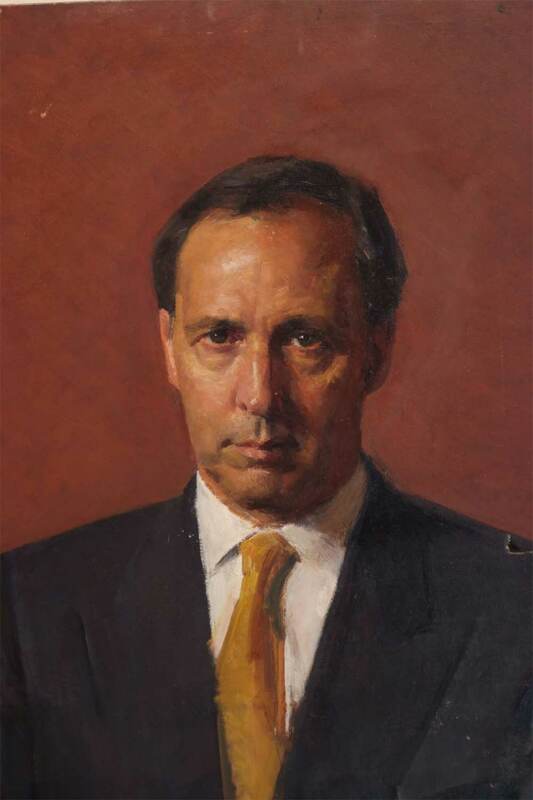 The Second Keating Ministry (Labor) was the 60th ministry of the Government of Australia, and was led by Prime Minister Paul Keating. It succeeded the First Keating Ministry upon its swearing in by Governor-General Bill Hayden on 24 March 1993 after the 1993 election, and was replaced by the First Howard Ministry led by John Howard on 11 March 1996 following the Labor government's defeat at the 1996 election.